The long-rumored and previewed 2018 Mercedes-Benz S-Class in both the short and long forms, has recently popped-up on the web in official videos which highlight its exterior and interior details. All variants have also been announced in prices. The S-Class range will be available in Europe starting this July, with prices to start from 88,446.75 Euros in the entry-level S 350 d, and go up all the way to 160,293 in the top of the line AMG S63. The full prices are listed below. 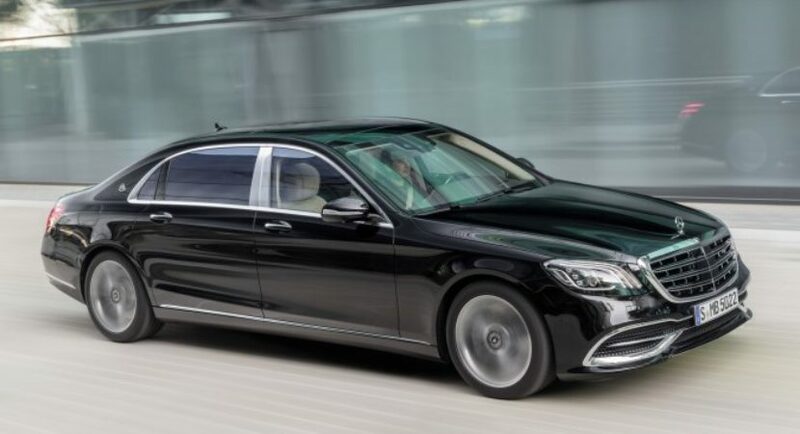 The 2018 Mercedes-Benz S-Class: 350 d short variant (88,446.75 Euros) / 350 d long variant (91,719.25 Euros); 400 d short variant (93,206.75 Euros) / 400 d long variant (96,479.25 Euros); 560 d short variant (113,950.35 Euros) / 560 d long variant (116,994.85 Euros); Mercedes-AMG S63 (160,293 Euros). Daimler is also offering some extra packages for the new S-Class – Driving Assistance (2,727 Euros); Remote Parking (4,343.50 Euros); Multibeam LED with Ultra Range Highbeam (1,999.20 Euros); Air-Balance (440.30 Euros), Extended Ambient Lighting (476 Euros) and the Extended Ambient Lighting (476 Euros). As for the features included as standard, we should mention the Comand Online with Widescreen Cockpit and Car-to-X Communication, multifunction steering wheel with Touch Control buttons, intelligent THERMOTRONIC automatic climate control, DYNAMIC SELECT transmission mode selection, Smartphone Integration system with Apple CarPlay and Android Auto, wireless charging system and many more. You can find out more details about the 2018 Mercedes-Benz S-Class in the official videos presentation below. Enjoy and don’t forget to share your opinions on that!